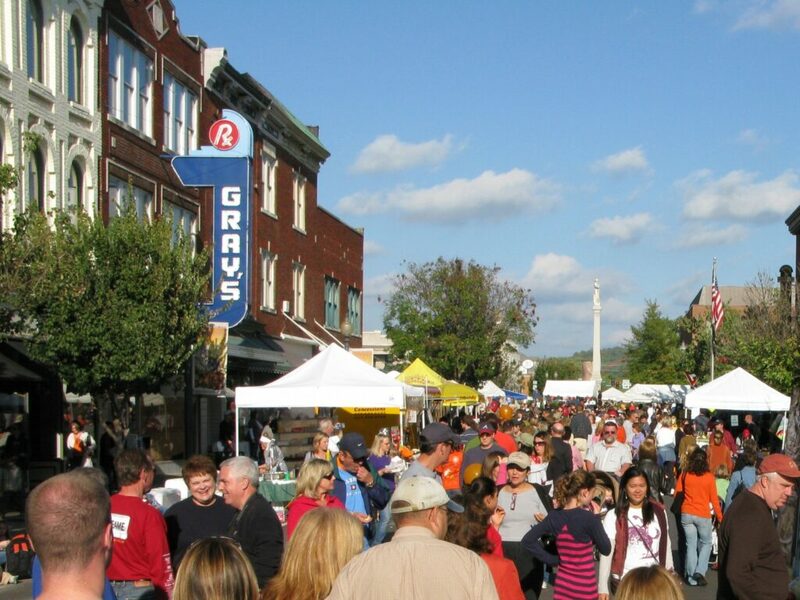 The Heritage Foundation of Franklin & Williamson County is pleased to announce the return of Main Street Festival, scheduled for April 25-26, 2015 in Historic Downtown Franklin. With Xfinity as the annual event’s title sponsor, organizers say spring’s premier celebration will be bigger and better this year, and to expect a full weekend of arts and crafts, music and dance, children’s activities, food and fun. With Main Street closed to traffic from First to Fifth Avenues, Xfinity Main Street Festival will run from 10 a.m. to 10 p.m. on Saturday, April 25; and from 11 a.m. to 6 p.m. on Sunday, April 26. Admission is free. Free entertainment will be offered continuously on two stages. The Xfinity Stage on the Public Square will feature local bands playing a variety of genres: Indie, Country, Rock, Bluegrass, Gospel and more. Eric Heatherly and his “Goats of Kudzu” will headline a Saturday night street dance on the Public Square from 8:30 – 10 p.m. The Heritage Stage located on Fourth Avenue North will feature a variety of local dance groups, including the Ann Carroll School of Dance, Tommy Jackson’s Rocky Top Revue and the Nashville Ballet. A beer tent on Fourth Avenue South will feature pub-style entertainment such as karaoke and corn hole. A kids’ zone on Third Avenue South will offer a variety of inflatables, train and pony rides, a petting zoo, bungee jump and other activities for a small fee. Returning this year is the very popular carnival component, located this year on Second Ave. N., on the Harpeth Square development site. Carnival activities kick off at 5 p.m. on Thursday. Off-site parking and shuttle bus service will be available at The People’s Church on Hwy. 96 and Harlinsdale Farm on Franklin Road on both Saturday and Sunday. On Sunday, off-site parking will be available only at Harlinsdale Farm. Shuttle service to downtown Franklin will be available for $1 per person per ride. Food, beverage, pets and non-folding strollers are not permitted on the trolleys. For more information and a complete line up of entertainers, visit franklinmainstreetfest.com.